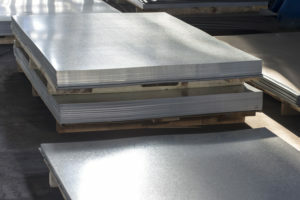 Sheet Metal Fabrication: 3 Aspects to Focus On - York Haven Fabricators, Inc.
Sheet metal fabrication is an essential part of the manufacturing market. Dozens of industries are impacted by various sheet metal procedures and not just across the United States. In fact, by the year 2020 the international metal fabrication equipment market is expected to grow by nearly 7%. Because of the importance of sheet metal fabrication, it’s good to know some of the best ways to manufacture these sheet metal parts. From 5 axis machining to 3D printing, there are all kinds of fabrication methods that require skilled and knowledgeable design workers. Here are some aspects of metal fabrication that you should know about. The metal wall thickness is essential for each piece of sheet metal no matter what it’s being used for. Metal parts should maintain a uniform wall thickness throughout the entirety of the fabrication process, too. It should be relatively easy to maintain the same thickness throughout because the single sheet of metal is all you’ll be using. A sheet’s bends can make or break an entire product. Bends in the same plane should be manufactured to go in the same exact direction as the other bends to avoid the focus of the sheet being drastically shifted during fabrication. If the bends remain consistent, however, you’ll save money and time. A good rule of thumb for preventing sheet fracturing is to have the inside bend radius the same as the sheet’s thickness. In addition to bends, curls are just as important. Sheet holes should be located away from the curl and the curls’ outside radius should be at least twice the sheet’s thickness. Hems are folds to the edge of a part the result in rounded and safe edges. A sheet’s hems can be flat, tear-dropped, or open, but it all depends on the sheet’s thickness or overall radius. It’s not recommended to use flat hems, however, because they often lead to fractures. If you want to learn more about precision CNC machining services for quality manufacturing or find some of the best sheet metal fabrication Pennsylvania has to offer, contact York Haven Fabricators today. Watch Our Punch Press In Action!